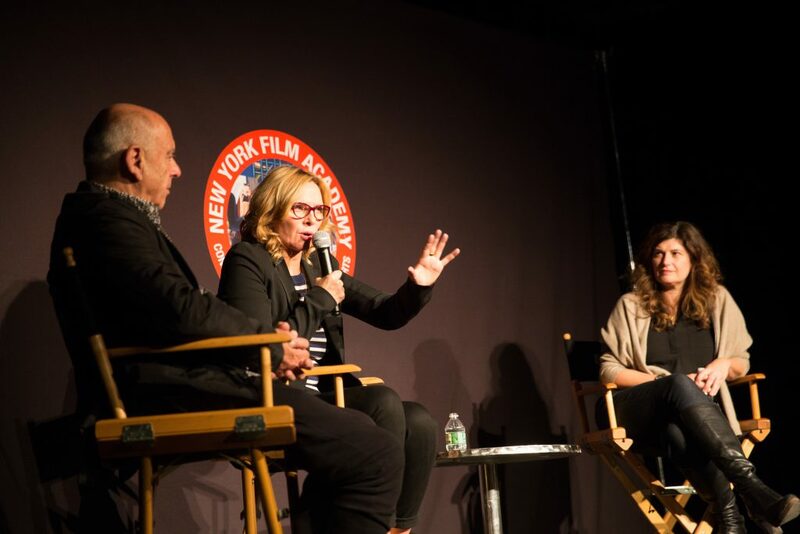 This past Friday, Dec. 9th, the New York Film Academy’s new theater at 17 Battery Place hosted Kim Cattrall for an exclusive Q&A with Acting for Film Chair Glynis Rigsby and Chair of the Department of Contemporary Photography Ralph Gibson. Aside from her film and TV career she also starred in the 1986 original Broadway production of “Wild Honey,” as well as staged productions of “Antony and Cleopatra” at the Liverpool Playhouse, “Private Lives” on Broadway, and “Sweet Bird of Youth” at London’s Old Vic. Since 2014, she has starred in her passion project, the HBO Canada series, “Sensitive Skin,” which she is also an executive producer on. The entire day was filled with golden nuggets of advice for actors and storytellers. Cattrall said she knows when she puts on a good show if the audience members are leaning forward in their chairs. Well, the entire hour talk had NYFA students leaning forward to listen to her captivating words of wisdom. 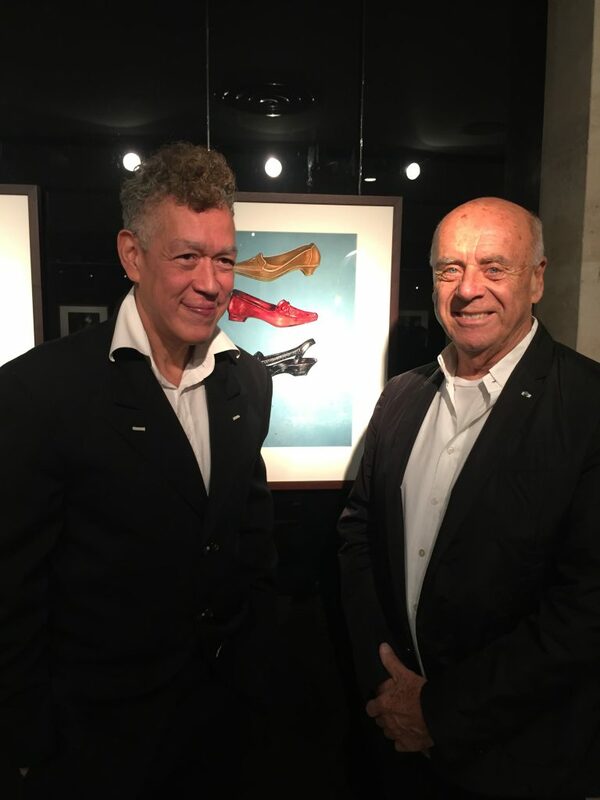 Recently, the renowned photographer, and NYFA’s Chair of the Department of Contemporary Photography, Ralph Gibson, opened a major photography exhibition at the prominent Galerie Thierry Bigaignon in Paris. The famous American photographer exhibited a new series of large-format color photographs entitled Vertical Horizon. Gibson, best known for his black & white monochrome images of the human form, has also often explored architectural elements in his works. The works in this exhibition evolved from the time that Gibson began doing color digital photography some years back. 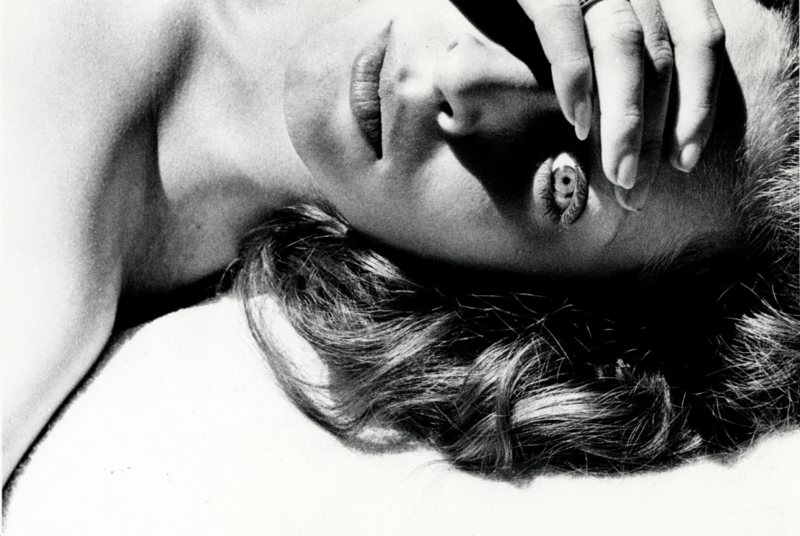 At 77, Ralph Gibson is as active as ever — both in his studio and at the New York Film Academy. 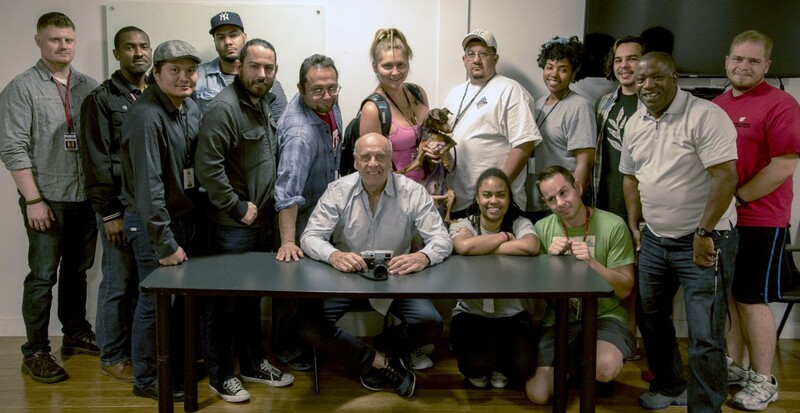 In addition to lecturing to NYFA students, Gibson also takes on a mentoring role to students as part of a unique mentorship program that NYFA established for long-term photography students. Each month the New York Film Academy’s various locations holds an Open House for applicants and those interested in learning more about the hands-on programs offered in each specific discipline. 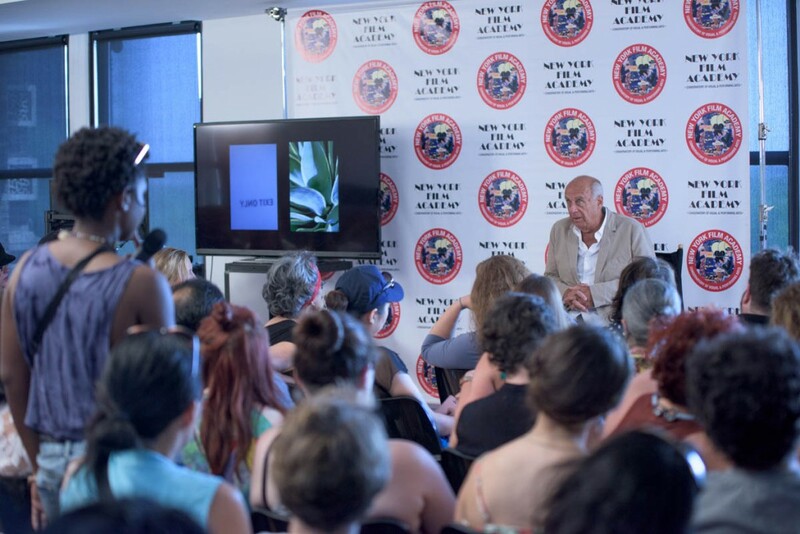 This past Open House at NYFA’s New York location offered an exclusive Photography Workshop with the Chair of Contemporary Photography, Ralph Gibson. Gibson is an award-winning photographer whose awards include fellowships from the John Simon Guggenheim Foundation and the National Endowment for the Arts, as well as the Leica Medal of Excellence, the Lucie Lifetime Award and the Silver Plumb Award. From the Beat Generation in San Francisco to the vigor of yesterday’s born-digital, cross-media creations, Gibson is that rare artist who has touched the masters of the past half century. His intensive workshop focused on the subject of “Finding Your Visual Identity in the Digital Age.” In a rapidly evolving field, understanding the challenges of today are crucial for young photographers. Students who attended the event found Gibson’s experience and insight as a valuable guide to further their own work. Following his workshop, Gibson remained to answer questions from those in attendance. With a variety of options available to both amateur and avid photographers alike, we encourage those interested in pursuing photography as more than just a light hobby to check out our website at www.nyfa.edu/photography-school to see which program best fits you. This week at the Los Angeles Campus of the New York Film Academy College of Visual & Performing Arts (NYFA), students in the photography program and beyond, were treated to a day of instructive activities by the internationally renowned photographer, Mr. Ralph Gibson, who is the Chair of NYFA Department of Contemporary Photography. All of the students in the MFA and BFA photography program had one-on-one critiques of their work with the Master, in which they each presented three of their images for discussion. The portfolio reviews continued in the afternoon when all long-term photography students had the great occasion to have their independent photography portfolios reviewed by Mr. Gibson. Mr. Gibson believes that if one can adeptly learn to photograph the human form, and architecture, then all other forms of imagery comes easily to the artist. 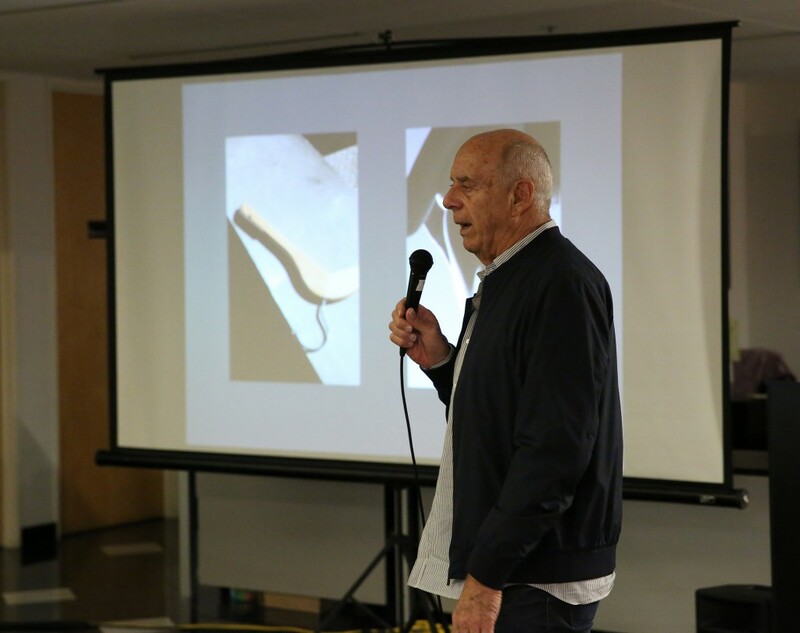 The celebrated photographer imparted more than five decades of wisdom to the students who were raptured by the Master’s iconic sense of the visual identity and his personally connected overview of the many styles of photography and the art of storytelling through still images. NYFA’s military veteran students enjoyed an informal gathering with Mr. Gibson—the Navy man—who first learned his technical darkroom skills in the hull of a ship as a 17-year-old enlistee. He emphasized that veterans with dreams of being visual or performing artists had a mindset that was necessary for the hard work it would take to become a success in their chosen fields. In the evening more than 70 guests greatly enjoyed a TEDx Talk style lecture and visual presentation by Mr. Gibson titled, “Finding a Visual Identity in the Digital Age,” in which he provided his perspective of how today’s technology has impacted all visual art mediums, especially photography. He provided a dramatic overview of American photography in the 20th and 21st centuries, which was interwoven with the exploration of his own life and art. 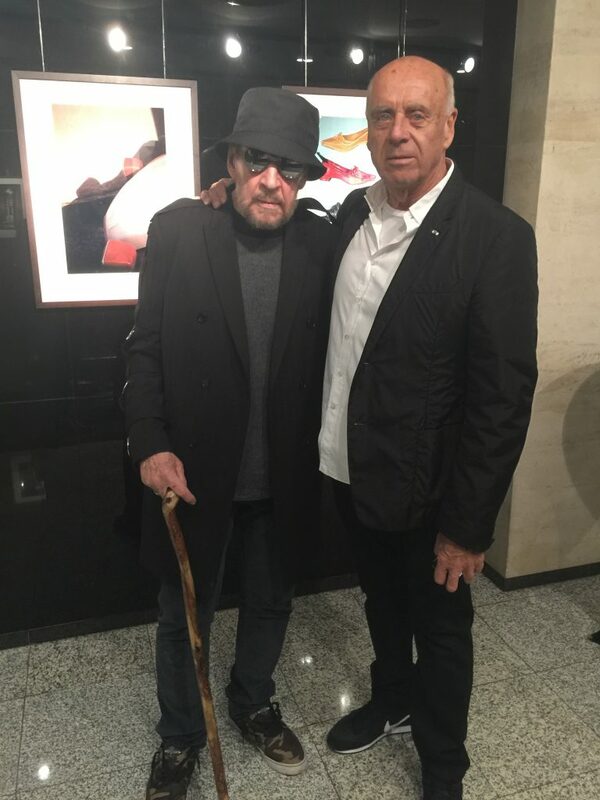 The words were simple, yet dramatically impactful: “We are all in the same boat, I have just been in it longer,” said the world renowned photographer Ralph Gibson this past Saturday at the New York Film Academy’s campus at Battery Place in New York City. The crowd eased back into their seats now relaxed and eager to listen to more. 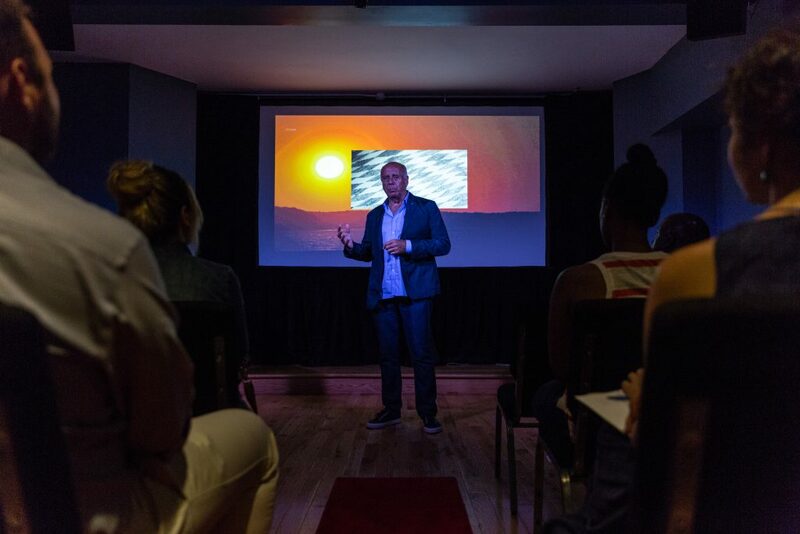 The New York Film Academy (NYFA) was delighted to host a sensational event featuring Mr. Gibson, who is the Chair of NYFA Department of Contemporary Photography. 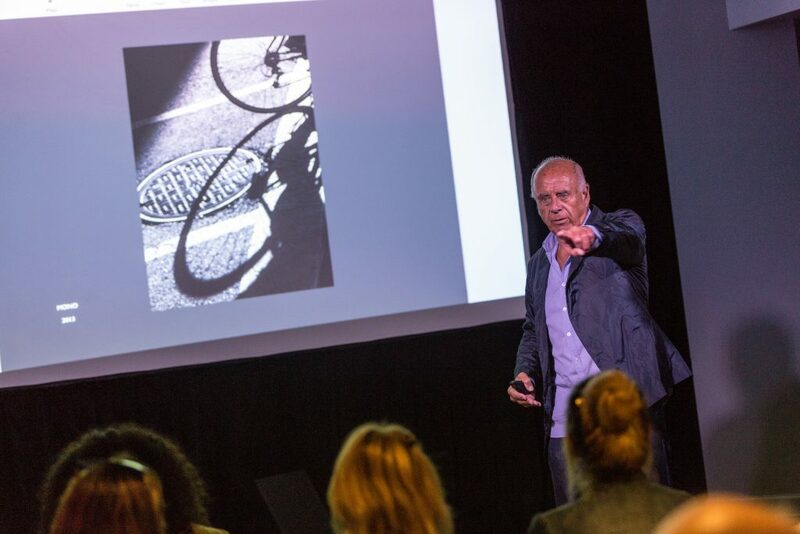 The renowned photographer provided an exhilarating presentation and demonstration to more than 160 guests; the NYFA photography studio was packed with prospective photography students, hobbyists, and professional photographers. Mr. Gibson began by introducing himself and his background through an informal lecture and slide show that represented the last 50+ years of his illustrious career woven into six decades of contemporary fine art photography. At times the stories matching the iconic Gibson images were very personal, such as a photograph that he shot years after the death of his mother that led to a delayed mourning of her loss in a profound way. While in the US Navy, Mr. Gibson became immensely adept at the technical skills associated with photography by working (and practically living) in the darkroom located deep in the hull of the ship. After his service he attended the San Francisco Art Institute and soon after began working as an assistant to the legendary FSA photographer Dorothea Lange. Mr. Gibson printed many of Ms. Lange’s iconic photographs and admits that while she was a terrible technician it was “the sheer force of her will” that her masterful images immersed from the darkroom’s chemicals. He gives credit to Ms. Lange for teaching him the concept that every great photograph is made only if by having a “point of departure” and that it is always important to have a destination in mind. Early in his career he had the great opportunity to work with the great photographer and filmmaker Robert Frank, of whom he is a still friend with today. He met other luminaries in the world of photography such as Mary Ellen Mark, the legendary photographer who passed away this past May. Mr. Gibson and Ms. Mark arrived in New York City as young struggling artists around the same time. Through Mr. Gibson’s photographs that were displayed on two large screens, we were taken on a visual walk through many distinct periods of his work, and exposed to the world through his life of travel with his ever-present 50mm lens. Of particular interest was the photographer’s transition from film to working digitally and more recently creating work combining still and video. After the lecture he provided a demonstration based on the theme of “natural light” where Mr. Gibson provided the audience with tips ranging from camera handling to how the body and light are captured in the frame of the picture. His lecture stressed his strong preference for the use of natural light in his work. In fact, he says he hardly ever uses artificial light. He proudly displayed the “Gibson Special Edition” camera that the Leica Company produced in his honor. Mr. Gibson challenged the participants to become immersed deeply in art, music, literature, history, and geography in order to become better visual thinkers. He said that everyone in the room is capable of creating a masterpiece, an icon photographic, but it must be intentional! Not only will Mr. Gibson be teaching Master Classes to NYFA’s Photography Programs in New York City, Los Angeles, and South Beach campuses, he will also open his New York studio to students on an individual basis. It’s an honor and a pleasure for the New York Film Academy to introduce Mr. Gibson to our current and prospective students. His experience and pearls of wisdom are invaluable assets, and we look forward to a bright, naturally lit, future for our photography program! Mr. Gibson holds two Honorary Doctorate degrees and his awards include fellowships from the John Simon Guggenheim Foundation and the National Endowment for the Arts, as well as the Leica Medal of Excellence, the Lucie Lifetime Award and the Silver Plumb Award. He is a Commandeur de l’Ordre des Arts et des Lettres of France, and this spring Gibson was honored with the Guild Hall Academy of the Arts Lifetime Achievement Award. Later this year, the Mary Boone Gallery will host a retrospective exhibition of his work. NYFA’s BFA Photography degree program is offered exclusively at our Los Angeles and South Beach campuses, however if a student wishes to study at our New York City campus as well, they have the option of enrolling in a one-year photography conservatory program and then apply their coursework towards advanced standing in the BFA Photography program. 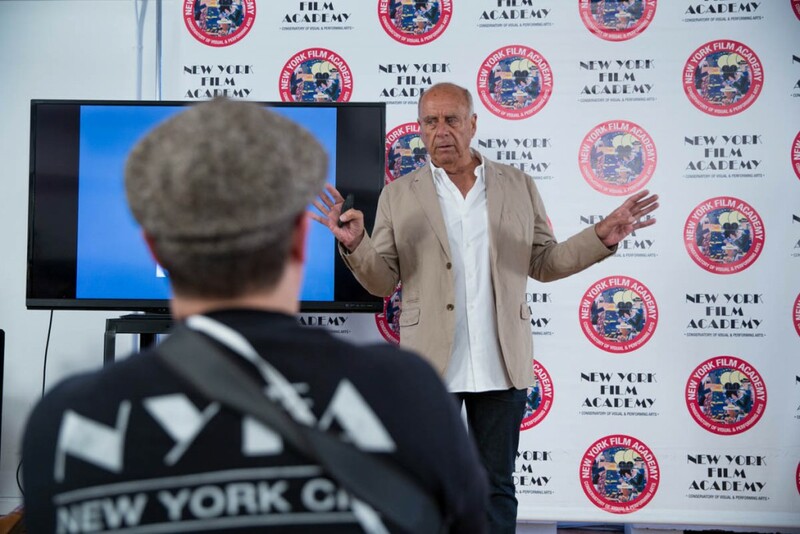 In a full room of prospective students, the New York Film Academy South Beach hosted an Open House with award-winning photographer Ralph Gibson and Medal of Honor recipient Colonel Jack Jacobs. Both Mr. Gibson and Colonel Jacobs have recently joined NYFA — Gibson as Chair of its Department of Contemporary Photography and Colonel Jacobs as Chair of Veteran’s Advancement Program. Mr. Gibson spoke intimately, offering his advice and beliefs on photography as an art form, as a career and as a philosophy on how it relates to society and culture. He commanded the room for two hours while taking questions from students who were looking for insight and opinions from the prolific Mr. Gibson. He also spoke candidly about trends in photography like the popularity of instagram and shooting from your iPhone. In his own charismatic way, Mr. Gibson provided a fresh prospective on the techniques and style that will last as long as still photography remains a popular form of expression. 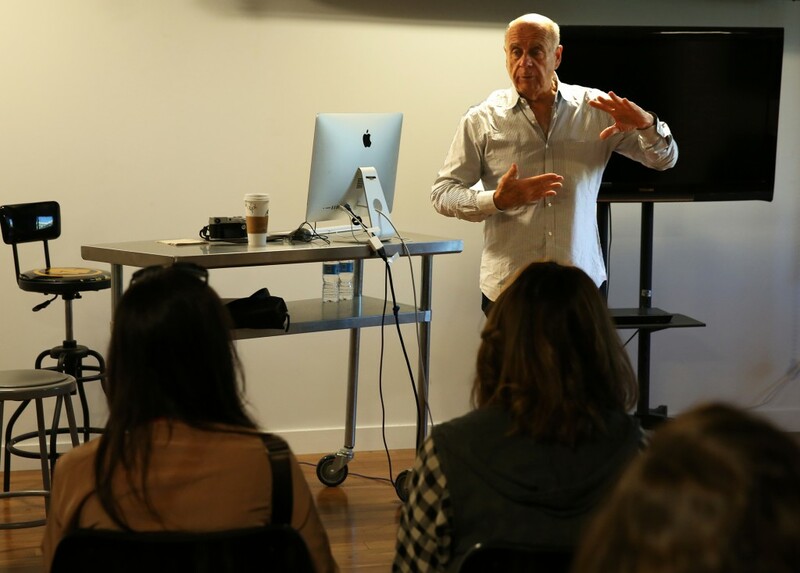 “It was great to have Mr. Gibson speak so candidly to prospective students about the world of photography and how our programs here at NYFA teach you in an immersive and practical environment — as oppose to the traditional, sit, listen and watch approach,” said NYFA Photography Enrollment Advisor, Evan Leone. Colonel Jacobs, who spoke one-on-one with prospective veteran students, emphasized his belief that military men and women are the most competent and hard-working individuals in society, and that hiring a veteran is not an act of charity, as many feel, but a benefit to the employer. Colonel Jacobs was able to provide each student with his own first-hand experience of transitioning from the military to a career in the media. 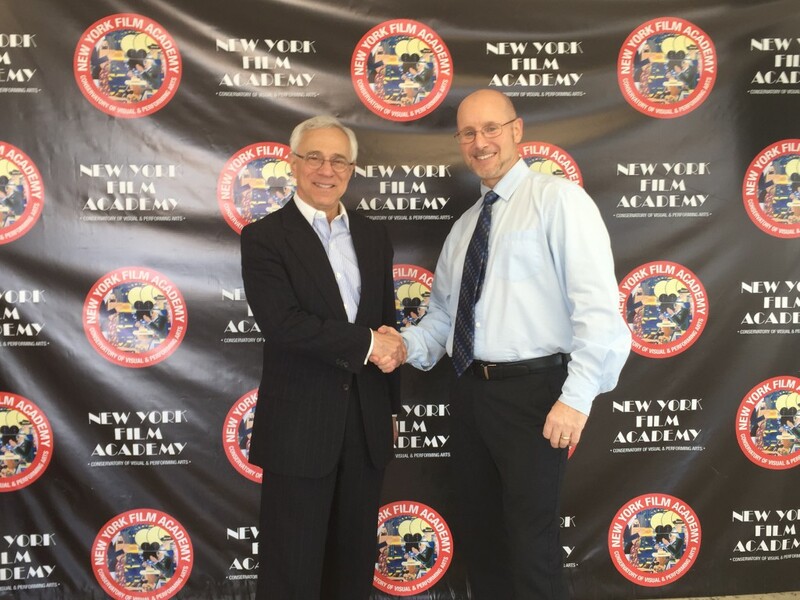 This was Jacobs’ third NYFA campus visit, as he previously spoke at NYFA’s Los Angeles and New York City locations. Next on the Open House tour for Gibson are Los Angeles and New York City. Ralph Gibson will be conducting his special “Natural Light Portraits” Workshop at NYFA Los Angeles on June 20th from 1:00pm-2:30pm. Following that will be a New York Open House on July 11th at NYFA Battery Park, located at 17 Battery Place in Manhattan, from 12:00pm – 2:00pm. 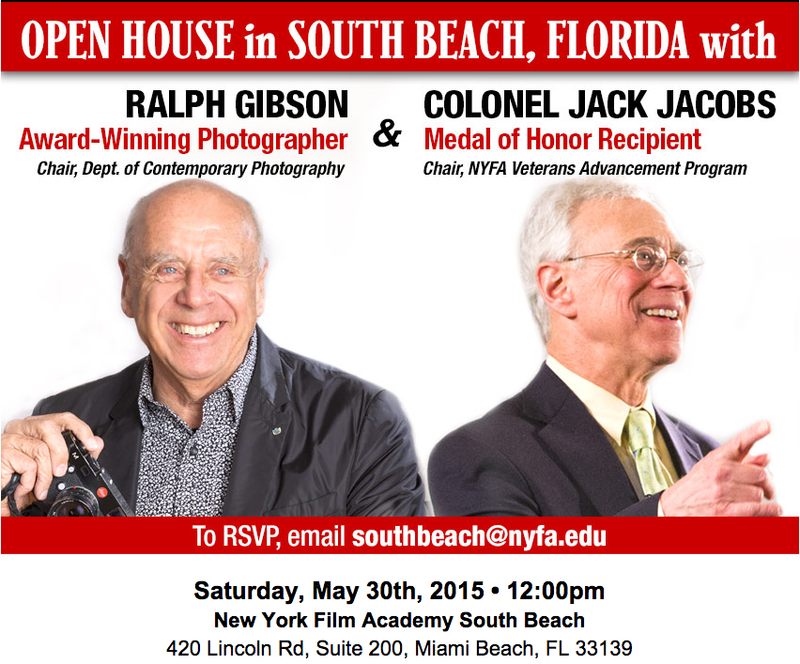 This upcoming Saturday, May 30th, 2015 the New York Film Academy South Beach will be hosting an Open House with special guests: award-winning photographer Ralph Gibson, Medal of Honor recipient Colonel Jack Jacobs, as well as Director of Performing Arts Enrollment, Roger Del Pozo and NYFA South Beach Filmmaking Instructor, George E. Fernandez. Ralph Gibson, who was recently appointed to Chair of the Department of Contemporary Photography at the New York Film Academy, is that rare artist who has touched the masters of the past half century—from the Beat Generation in San Francisco to the vigor of yesterday’s born-digital, cross-media creations. He began his professional career as an assistant to Dorothea Lange and, to date, has published over 40 photography monographs and his photographs are included in over 170 museum collections around the world. Gibson’s awards include fellowships from the John Simon Guggenheim Foundation and the National Endowment for the Arts, as well as the Leica Medal of Excellence, the Lucie Lifetime Award and the Silver Plumb Award. Colonel Jack Jacobs, the Chair of the New York Film Academy’s Veterans Advancement Program, served in the U.S. Military for more than 20 years and his gallantry in Vietnam earned him the Medal of Honor — the nation’s highest combat honor — two Silver Stars and three Bronze Stars. Colonel Jacobs is currently a military strategist and on-air analyst for NBC and MSNBC News. 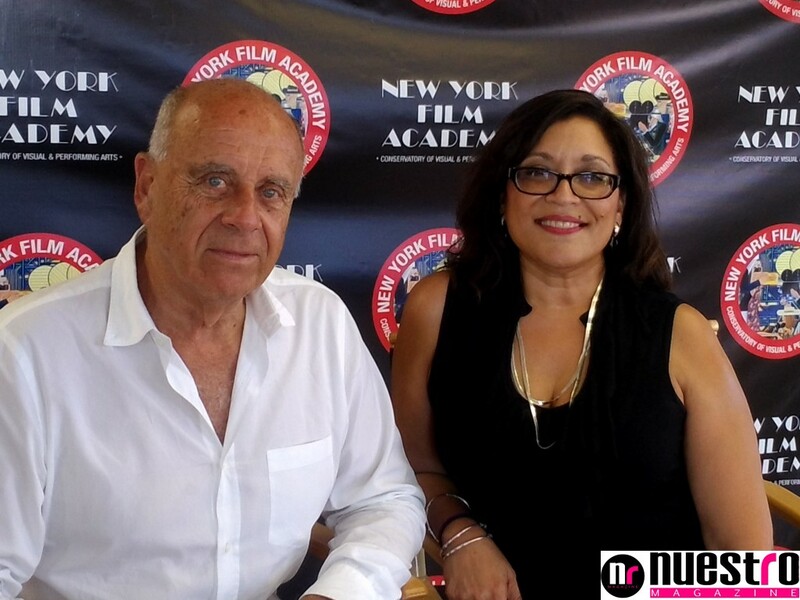 In addition to his work at NYFA, Roger Del Pozo has also been a casting director in New York for the last 12 years. In that time, he has cast over a thousand television commercials, as well as films, plays, voice overs, video games, music videos and industrials for many of the top Casting Companies and Advertising Agencies in New York. Some projects Mr. Del Pozo has cast include national campaigns for Apple, Microsoft, Dunkin’ Donuts, Sony, General Electric, AT&T, Fisher Price, Nickelodeon, Cheerios, Verizon, Ikea, Nintendo, Toyota, Mercedes and Heineken, just to name a few. G.E. Fernandez started out as a writer. His play, Vietnam Trilogy, was a major hit at the Veteran’s Theater in Los Angeles, winning the Drama-logue award of Best Actor for Richard Chavez. His first feature film, Cease Fire, starring Don Johnson, Lisa Blount, went on to become a critical success. Through the 1990’s he started to make entry into the Television World, by creating and producing the European TV Series Pilot Night Screams. Mr. Fernandez has now moved back to South Florida and has created Magic City Distribution & Production, a marketing and distribution company for Indie Films. The Open House is open to prospective students and members of the press. If you’re interested in attending or have questions, please email southbeach@nyfa.edu.